Often simple food is the best. 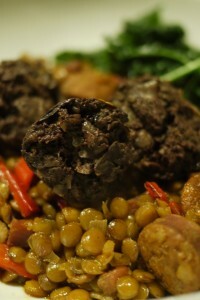 This is one of the dishes we regularly cooked and i think originally came from Gary Rhodes book Rhodes Around Britain. It really is simple and truly tasty. We always get a much bigger ham joint than we need so that we have lots left over for sandwiches and shredded in soups. 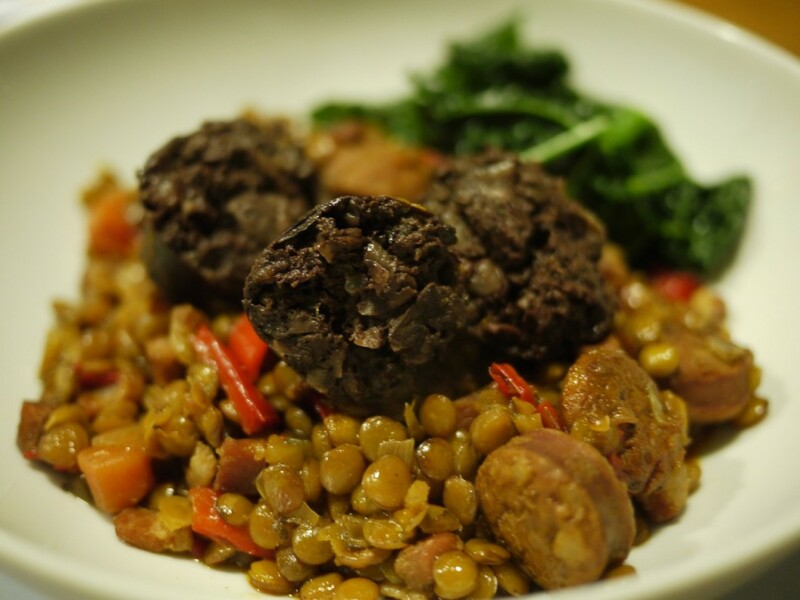 then with just over 45 minutes before serving put the barley in a pan and add some of the ham cooking liquid, bring to the boil and simmer with 20 minutes left add the lentils and more liquid is needed, continue to simmer. 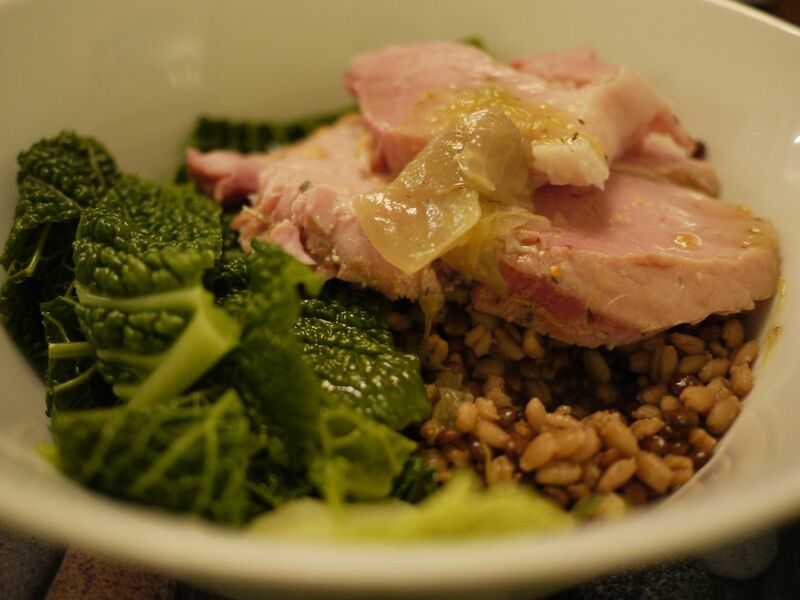 Serve the ham sliced on a bed of lentils and barley, with a vegetable such as steamed green or red cabbage and with pickles or mustard of your choice.